In this hands-free practice, we give our wrists a break while building shoulder and core strength. We will also explore various heart-opening and back-bending postures to create space and opening in the body. In this hands-free practice, we give our wrists a break while building shoulder and core strength. We move through a grounding practice that brings us deep into the hips. Your mind will feel more clear and focused, and your hips will thank you. Sarah shares a fluid practice to find release and ease in the shoulders and hamstrings. Hi Peter, That is really interesting about your spine and hips - how are you feeling now? Wishing you a beautiful week and glad to be practicing together here on Yoga Anytime! Really enjoy your practices and the poses you choose. I have been doing a lot of cycling these days - while it has toned me up and given me strength, I have lost control of my breath. This was a wonderful re-introduction to the power of yoga breathing. Thank you! Sarah guides us in an energizing flow to challenge your balance and strengthen your presence and focus. With keen attention to the relationship between the hands and heart, Suniti guides us through a series of heart openers. 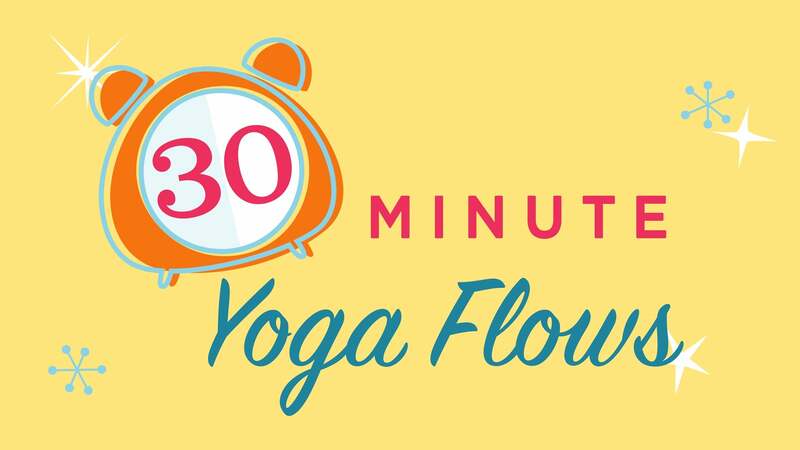 A heating sequence designed to stoke your inner fire by building abdominal strength, stamina, and activating your core to support your Vinyasa flow.